1.00 The purpose of this policy is to ensure all use of Unmanned Air Vehicles (UAVs) commonly called “drones”, on University property is safe and in accordance with all applicable regulations and guidelines. No use of an UAV’s may occur without prior consultation, registration and approval of the Director: Safety, Health, Environment and Risk Management (SHERM) or designate. 2.00 Unmanned Air Vehicle (UAV): A power-driven aircraft that is designed to fly without a human operator on board. This includes but is not limited to: drones, quad copters, and model aircraft. The operation or use by any person of a UAV on, or above University property or buildings for any purpose. This includes members of the public, visitors, faculty, staff, students, or contractors. The purchase of an UAV with funding through any university account, fund or any external grants (see Policy 5.11). The hiring or contracting of any UAV services by a University department. 4.00 All UAV’s use shall follow the Transport Canada Aviation Safety Standards and Canadian Aviation Regulations. The use of UAVs shall also respect all applicable federal, municipal, and provincial laws. 4.01 UAVs are only permitted to be used on campus for approved University purposes including, but not limited to, teaching, research, inspections, emergency response, and promotional filming. 4.02 Unmanned Air Vehicles used on or above University property or buildings are required to be registered with the SHERM department at least one week in advance. SHERM shall be notified as to the weight of the UAV, flight operator information, liability insurance details, proposed flight times and routes and the purpose of the flight by using the application form (link below). 4.03 Cameras will only be utilized on UAVs to film outdoors in public spaces. As with any filming or photography on University property, CPAM must approve the project and be notified in advance. Under normal circumstances, advance notice of one week must be given. 4.04 Where required by Transport Canada, a Special Flight Operations Certificate (SFOC) must be obtained from Transport Canada prior to take-off. Current exemptions for flight without a SFOC are set out in the application form. 4.05 Unmanned Air Vehicles shall not be used inside any Laurier owned, operated, leased or rented buildings. 4.06 Unmanned Air Vehicles shall not operate higher than 90 meters above the ground level. 4.07 UAVs must be within continuous, unaided visual contact of the UAV operator, and only operated during daylight and in good weather conditions. 4.08 The UAV operator must confirm that adequate liability insurance is in place prior to operation. 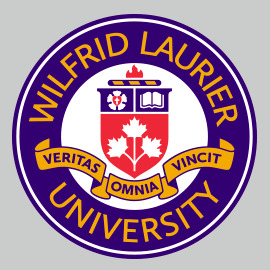 Only UAVs owned and operated by the University and University employees for approved university-related activities may be covered under Laurier’s general liability insurance. All users must confirm insurance is in place through the Insurance Office or purchase adequate liability insurance that addresses the UAV operation. 4.09 The UAV operator must carry a copy of the insurance as well as contact information, UAV applicable exemption information and UAV system limitations. 4.10 Unmanned air vehicles are not permitted to fly over crowds on or above University property and buildings unless their Special Flight Operations Certificate through Transport Canada permits such use. 4.11 The Operator shall immediately stop all operations if the use is no longer in compliance with all certificates, approvals, exemptions or legal obligations, or if the safety of a person, property or other aircraft is at risk. 4.12 If the Unmanned Air Vehicle is to be used for University purposes by a faculty or staff member of the University anywhere other than on University property, advance written notification to the applicable owners and occupiers of the property must be provided and their written approval must be obtained prior to operation of the UAV. In all cases the applicable Transport Canada regulations must be followed and separate liability insurance obtained.